Many clinical models emphasise the importance of sequential shifts in emotion-processing for recovery from emotional conditions. Experimental models of such sequential changes are not well developed. We present an experimental model to study growth in emotion-processing. 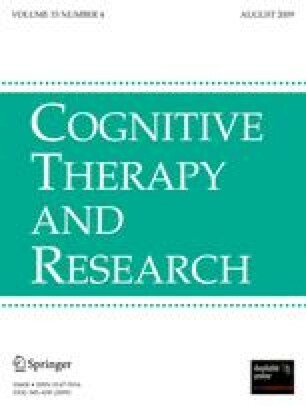 This study employed a growth writing paradigm in which the participant begins with an exposure-writing method and progresses to one that explores current dysfunctional cognitions and then benefits gained from past experiences. A total of 93 student participants who reported a past upsetting experience along with significant intrusion and avoidance symptoms were recruited. Results suggested the growth model of writing led to more benefits than an unstructured emotion writing paradigm, as indicated by a reduction in anxiety and negative affect scores at 2 months follow-up. Results suggest the possibility of studying synergistic relationships between emotion-processes so that we can better describe the nature of sequential changes in emotion-processing. This research was partially supported by the Australian Research Council. We would also like to thank Juliana Charlson for her assistance with data collection and Julia Carmody, Alex Howard, and Dean Carson for comments on this manuscript.